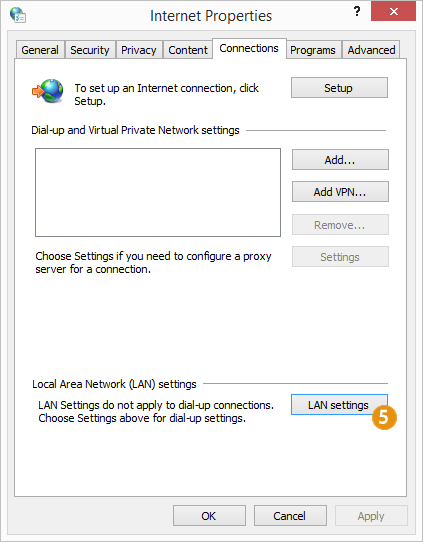 How to setup HideIPVPN proxy on Chrome. This tutorial will guide you how to do this. 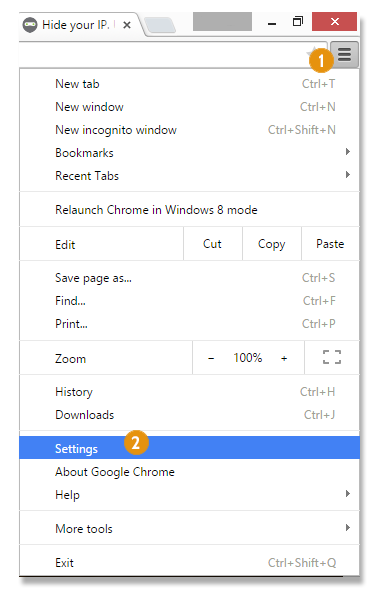 Proxy setup on Chrome is very easy and fast. Let’s start! 5. 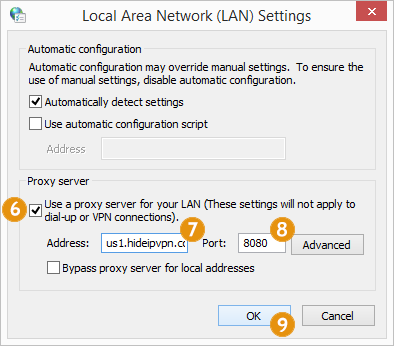 Now check “Use a proxy server for your LAN” (6). 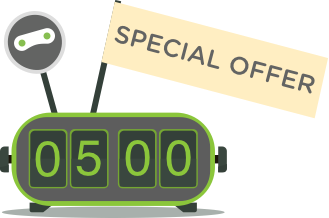 Then in “Address” box type server name you want to use (7) and in “Port” box type one of these 3 ports: 8080, 3129 or 81 (8). Press OK (9) and once again OK on “Internet Properties” window. 6. 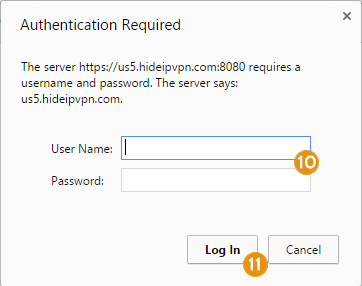 When you’ll try to access a page Chrome will ask you to introduce your VPN username and password (10). Type them and press Log In (11).